A team that works. Together. problem solving. We work with B2B and B2C marketers to define their endgame, and implement strategic solutions to achieve these goals. Digital Pi’s team includes highly skilled Marketo Certified Experts, Marketo Champions, marketing technologists, and industry leaders in marketing automation and demand generation. Our members have all previously served in marketing roles with a responsibility for driving revenue. As marketers first, we are deeply engaged with each project. Most importantly, every member of the Digital Pi team is passionate about their discipline and dedicated to customer success. Ryan focuses on helping companies get rapid and meaningful insights into their marketing automation investments. He is a Marketo Champion, Certified Marketo Expert and co-leader of the Dallas Marketo User Group (DMUG). Ryan is passionate about the future of marketing technology but also believes that any approach should be guided by the core principles of “simple” and “practical”. Previously, Ryan led the marketing automation and online practice for CA Nimsoft, PureMatter Brand Marketing & Advertising, as well as contributed to the successful global deployment of Marketo for CA Technologies. 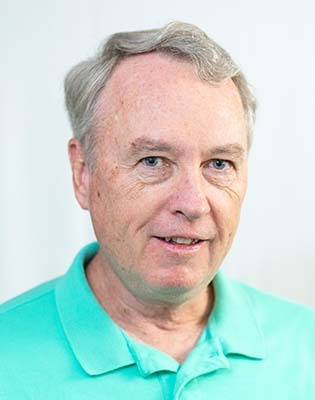 Bill has been involved in technology and software development for over 20 years primarily focused on marketing and advertising technologies. In previous positions Bill has overseen large development and technology solutions for many large organizations, including Pfizer, The New Yorker and United Jewish Communities. While at his desk Bill enjoys solving problems and finding solutions to whatever comes his way. Away from the desk, Bill enjoys day hiking, traveling and photography. He hopes to hike and photograph every US National Park. Tom brings over twenty years of marketing executive leadership to Digital Pi including VP Product Marketing at Marketo. He led marketing at start-ups, mid-size and enterprise companies including Intuit, CA Technologies, ThreatMetrix, and co-founder of Bluecurve (acquired by Red Hat). Tom loves helping companies solve big marketing problems using his depth and breadth of experience, technical skills, and outsider perspective. He is an intent listener who constantly probes ideas and assumptions to drive to the best outcomes. Tom and his wife and daughter head to Mexico every couple of years to build Amor houses for families in need of a home. Tom is a total hack on guitar compared with his daughter, a classical guitar player since she was four. His family likes to get outside and play in the great Northern California outdoors and enjoy all that the San Francisco Bay Area has to offer. Ari has 20+ years of executive financial and operational leadership experience with a variety of global high-growth businesses, including professional services, technology, multi-location and multi-entity organizations. Ari has track record of success in adding value to businesses on both top and bottom lines. Throughout his career, Ari has been actively involved in fundraising (venture/angel financing, private equity, IPOs, and bank debt) and has significant expertise in mergers and acquisitions. At Digital Pi, Ari is responsible for all Finance, Accounting, Legal and Administration of the company. Prior to Digital Pi, Ari was the CFO of Mercury Media, a leading direct response performance marketing agency. Ari was also COO and CFO at Schwartz Communications, a dynamic marketing services firm focused on media relations and content creation for emerging growth companies. He led the company to and through its highly successful acquisition by Publicis. 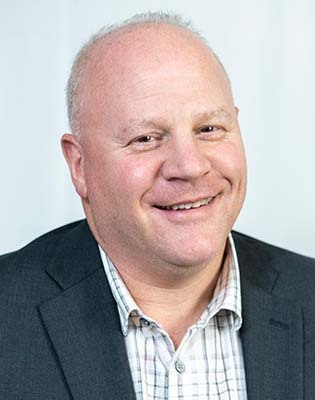 Ari was also the CFO of Adlex, a rapidly growing software start-up that pioneered IT service delivery management and which was successfully acquired by Compuware. 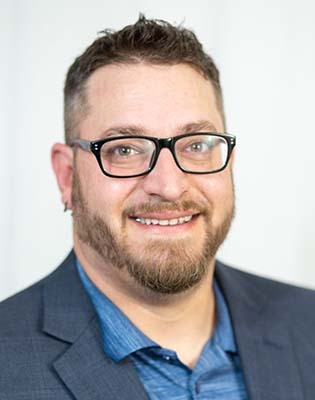 Ari’s other experience includes serving as CFO of Quantiva, Inc., a performance monitoring software start-up, as well as VP of Finance and CFO at Switchboard.com, the Internet’s first online yellow/white pages directory, where he led the company through a highly visible dotcom IPO. Ari completed his undergraduate degree at the University of New Hampshire and his MBA at Bentley University. He also completed the CSS Program in E-commerce Management at Harvard University and has also taught various finance and accounting courses in graduate-level programs. In his free time, Ari is a sports and fitness buff, having completed six marathons and a triathlon, and is a competitive tennis player and avid skier. Ari lives in the greater Boston area with his wife and three children, but frequently heads up to northern Vermont to enjoy the great outdoors. 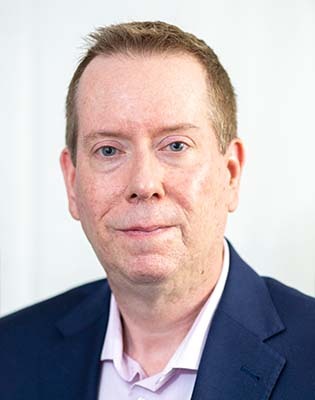 Jeff Coveney is an accomplished marketing expert with more than 20 years success in generating demand and creating buzz for leading technology organizations. Previously, Coveney redefined the demand generation process at Application Security with the implementation of a state-of-the-art marketing automation system leveraging Marketo. Coveney’s programs helped Application Security earn a 2013 Marketo Exceptional Product Usage nomination. Marketo also honored Coveney as one of the world’s top 50 Marketo professionals by naming him to the 2013 Marketo Champion Elite class. 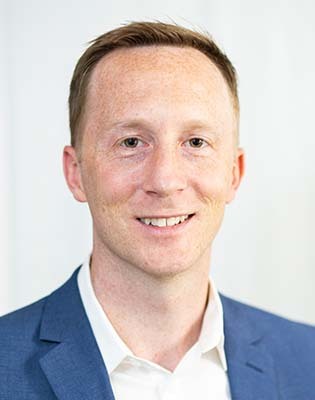 Prior to joining Digital Pi, Coveney founded RevEngine Marketing, a marketing automation consulting firm helping companies accelerate leads through the marketing funnel in a repeatable and measurable way. Most recently, Jeff joined Digital Pi as EVP of Marketing where he continues to strategize marketing engagement strategies for both clients and the agency. How many marketers thought the math they learned in school would help them in their careers? John certainly didn’t, but over the last two decades, he has proven the validity of this formula for countless enterprise and mid-market B2B and B2C companies. 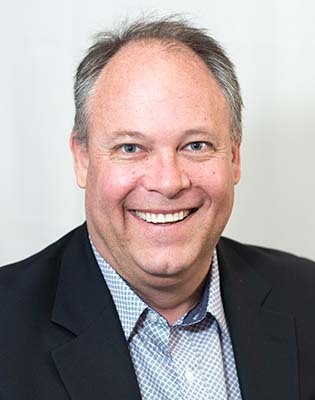 John brings real-world strategic and tactical expertise and an ability to architect sound marketing and sales process, even in complex organizations. 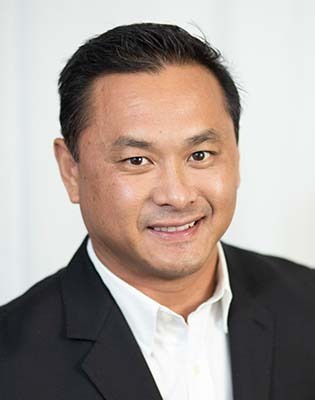 He has worked with some highly recognizable name brands, such as Beechcraft, Cessna, Swift Transportation and Blue Shield of California. As a certified admin, he has implemented Marketo, Pardot and Salesforce for dozens of organizations and is also a certified SCRUM Master. He was formerly the VP of Marketing for VIRGO Publishing (now Informa Exhibitions) and has a history of entrepreneurship. When he’s not helping his clients fish for new leads, you can probably find him on a mountain stream with a fly rod in one hand, and a cigar in the other. Vivi brings over 10 years of marketing and consulting experience, along with over 15 years of education and training. 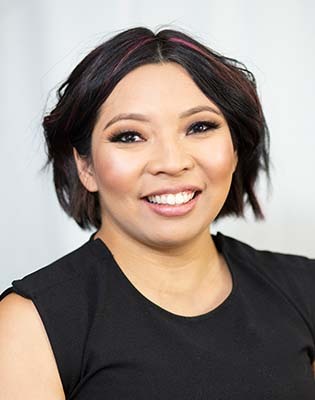 Prior to becoming a consultant, Vivi managed marketing programs and operations for Xactly Corporation for 4 years, and has focused on consulting and training in Marketo and SFDC since 2012. She brings her passion for marketing, marketing automation, and training & coaching to each client engagement; building relationships and providing insights culled from best practices and past experiences. Vivi holds a bachelor’s degree from UC Berkeley, and won a Marketo Revvie Award in 2012. 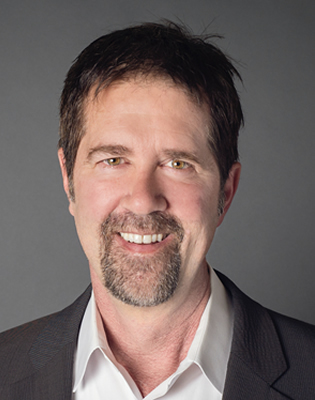 Over the last 25 years, Bob has built, managed, and advised marketing teams of technology companies, including Arbortext (PTC), Brocade, CA Technologies, LLamasoft, GXS, HAHT Commerce, Intuit, QAD, Sybase, and WorkForce Software. Bob thrives on solving business problems with marketing technologies and will not quit until a suitable solution is found. Danielle brings more than 16 years of experience in client services, marketing automation and digital marketing strategy to the DPI team. With an ability to immerse herself in understanding a client’s needs and then translating those needs into services – she consistently delivers results, meeting (and exceeding) clients’ expectations. Danielle is a Marketo Certified Expert and has worked with all aspects of #Marketo and #Salesforce. She is passionate about marketing automation and eager to empower clients to operate these systems on their own. 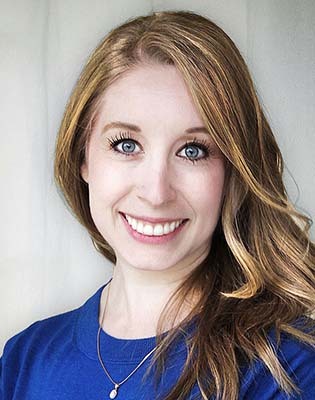 Previously, Danielle has worked for global organizations such as the Produce Marketing Association, Econsultancy LLC and the Online Marketing Institute. Her work experience reveals a wealth of skills which are both practical and strategic in nature. Danielle’s big picture thinking coupled with multi-channel, task-driven tactics makes her a client’s ultimate advocate. 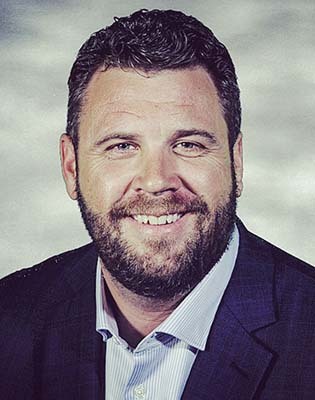 Mark brings over 15 years of experience in facets of Project Management, Customer Account Management, Sales, Lean Manufacturing, Analytics, Price Management, and Marketing. With his diverse knowledge of business, he has successfully managed small accounts to large fortune 500 companies and government contracts that led to meaningful relationships/partnerships. DPI is a perfect fit for Mark as he can use his past management experiences to the fullest in building/maintaining relationships with clients. He strives for all things Marketing Automation and still manages to learn something new every day. Previously, Mark led product marketing for Norgren Kloehn Inc. where he was the Product Marketing Manager for precision fluidic components in the Biomedical and Analytical instrument markets. In this position, Mark was a key player in integrating new marketing programs, implementing the product web store, Demand Gen, and managing all price activities. Mark understands the flow of business process and brings insight to the integration and architecture of marketing automation. Marks hobbies include soccer, mountain biking, camping, and fishing but he lives in the hot desert so it’s during limited times of the year. Most of the time you can find Mark just enjoying time with his family (which includes 2 wonderful dogs), and although he only has one child, she keeps him quite busy. Peter is a Marketo Certified Expert with background in product management and product development. He loves getting applications and data silos to talk to one another solving problems in Marketo that “they” said could not be done. Along with marketing experience, Peter has in-depth experience in data analytics, web application architecture, application integration and data security. He has as held successful technical positions in several large companies and startups including ThreatMetrix, Vormetric, WebMethods and Oracle. He was born and raised in Texas, a graduate of Texas A&M but fell in love with beaches, mountains and climate of Northern California and the Bay Area. He is the father of three awesome kids who teach him new things every day. Cristin brings over 13 years of experience in B2B & B2C technology marketing, and is a Marketo Certified Expert. He found his passion for marketing early on while pursuing a career in the music business. Someone had to create the websites, flyers, logos, and record artwork (when that was a thing); and that someone was Cristin. He is data-driven, obsesses over the details, and isn’t afraid of the hard work it takes to align the many technologies it takes to be an effective marketer in today’s world. 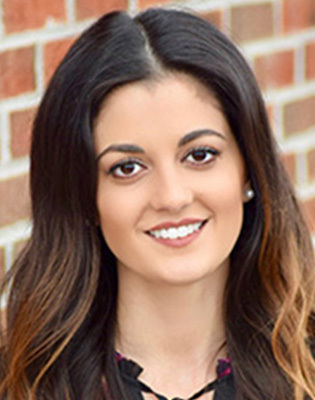 Cristin held marketing positions at Insight, a fortune 500 company, and recently served as the Senior Marketing Automation Specialist at a for profit college before making the move to consulting. Jessica is a Marketo Certified Expert with a real passion for Marketing Automation. She is a Northern California native and Cal Poly, SLO graduate with a BS in International Business. She brings a passion for software and a talent for solving puzzles. Driven by a desire to exceed expectations, Jessica thrives in a challenging environment and her strong analytical skills are well balanced by a love of design. Prior to starting at Digital Pi, Jessica wore a number of hats at Extole, Inc., including Marketo expert, SEM manager, Social Media Marketing maven and general Marketing Operations pro. Having joined the team at their start, she was able to watch and learn the ins and outs of a startup firsthand. Graduate of the Sobey School of Business at Saint Mary’s University in Canada. Over the past 12 years, Nicole’s career has been focused on Sales and Marketing strategies. She has been a successful contributor with strong execution in Sales & Marketing, Demand Generation, Operations, and Inside Sales Management within the Information Technology Industry, specifically IT Start Ups. She enjoys building and creating along with finding new ways to elevate a business’s overall objective – revenue generation. Previously, Nicole has worked with Gartner, SuccessFactors, NCR (Retalix USA), Skyhigh Networks and StarrData. Within her roles she was instrumental in developing efficient sales and marketing processes along with implementing new technologies that improved overall sales and marketing operations. Residing in the Sierras, Nicole and her family enjoy hiking, white water rafting, paddle boarding, snowboarding, 4-wheeling and anything else that involves the outdoors. If they aren’t enjoying the outdoors, they are usually traveling to new places. Janet Couch joined Digital Pi as Director of Human Resources and Finance in 2013. She is responsible for implementing on-boarding, payroll, benefits management, and employee relations policies. She also prepares and oversees accounting work for Digital Pi and plays a role in the preparation of audited financial statements, tax returns, and reports to support Digital Pi. She takes an active role in accounts payables and receivables as well. I’m really excited to be returning to a role where I can help customers solve their problems. Previously, I led the Demand Generation and Marketing Operations function at Guidespark, a high tech not so small start up. Before that, I worked for several biotech companies including Fluidigm and Affymetrix in Global Demand Generation. I received my PhD from Stanford in Cancer Biology. When I’m not geeking out on data, I teach yoga on the weekends. I like to bake, make desserts, and cook. My husband and I are currently enjoying our new 4 month old little girl while entertaining our very jealous dog. Beth has worked in office administration for over 20 years. She has managed all aspects of a family owned business for 18 years. She has previously worked in customer service for a multi-million dollar roofing company for 5 years. Her responsibilities encompass many aspects of our business, including AP/AR, billing, and customer service. Her great organization skills keep our team running smoothly. When she’s not working in front of a computer, she loves to spend time with her husband and 18 year old daughter and also loves to cut and color hair for friends and family. Dave specializes in design & development and has been crafting and refining systems of communication, workflow and experience for the last decade. Whenever it needs to be beautified, optimized, Marketo-tized or just broken apart and put back together, Dave plays an instrumental role in handling the technical details of form and function in development. 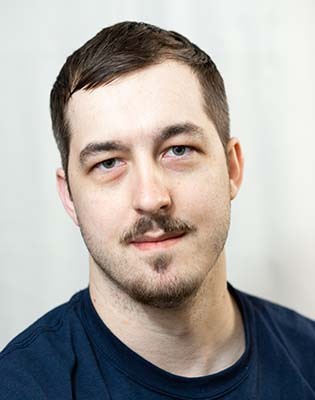 Academically he holds a BA in Visual Communication and has been a self-starting coder and tool builder, specializing in front-end development (UI/UX) since graduating in 2000. This blend of experience in design and technology has helped Dave to become fluent in the language of techies (HTML, CSS) and creatives (Adobe CS), allowing him to wear many hats in support and development. Kurt has been working as a software architect and developer for more than 25 years. 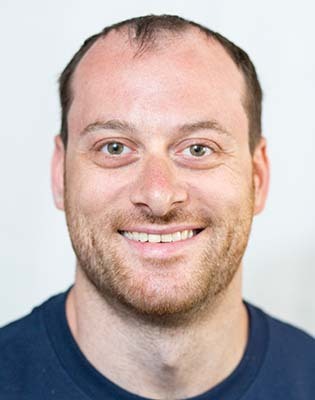 He enjoys solving problems, and over the past 10 years as a consultant has helped a variety of companies deal with the hard issues of complex system design, scalability, and security. 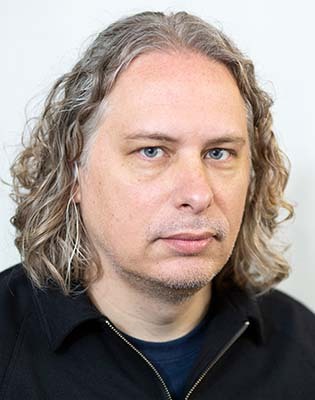 Prior to joining Digital Pi, Kurt led development on a variety of large-scale systems, many involving advertising, media delivery, and the visualization of the data generated by those platforms. Mike brings experience from a variety of different marketing teams, including fast-paced startups, large organizations, and client services. 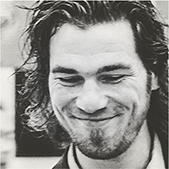 He is a New York native now living in New York City and received a bachelor’s degree from Sacred Hearty University. He brings a ton of enthusiasm for increasing the performance of Marketo, designing emails, acquiring actionable data, and solving problems. Previously, Mike worked in marketing operations for RealMatch and Grovo, two B2B tech startups where he implemented, managed, and built-out the Marketo platform, along with leading additional demand generation initiatives. He also worked at Experian Marketing Services managing the AT&T account, overseeing all email execution, reporting and troubleshooting. When he’s not talking about marketing, he’s most likely talking about food or being active somewhere outside. Lauren brings over 12 years of B2B and B2C experience in marketing and advertising, working on both the agency and client side. 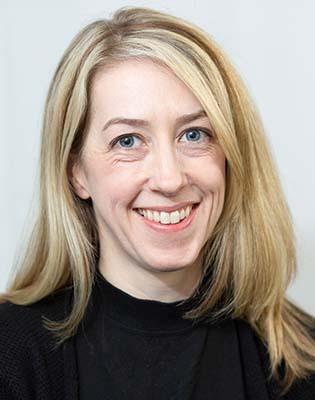 She has been responsible for a number of different areas including strategic planning, project management, marketing communications and demand generation. 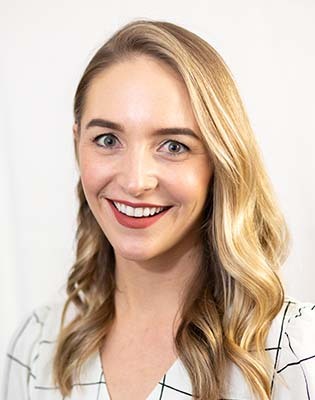 Finding her true passion in marketing automation, Lauren is a Marketo Certified Expert with strong interest in data-driven marketing and creating fully integrated marketing programs/campaigns. 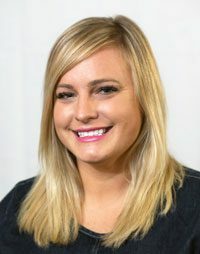 Previously, Lauren worked for BackOffice Associates, a global data management company, where she was responsible for managing marketing programs, content generation, SEO/SEM activities and sales enablement for North America. Prior to BackOffice, Lauren worked for advertising agencies focusing on account management and strategic planning. Jon Bourne is a marketer with a varied background in technology, design, agency consulting and direct sales. He has been a front-end developer, account executive, technology consultant, creative director, and head of marketing as well as an owner, partner and executive in multiple design and development agencies. 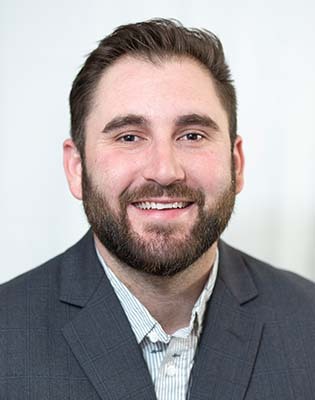 Jon brings his technical background together with branding and marketing savvy to deliver return-oriented strategies that drive top-line growth and create efficiencies and cost savings for client companies—turning marketing organizations from cost centers to profit centers. Jon hails from The Last Frontier—Alaska—where he has been face to face with an angry mama moose and her calf, a hungry black bear, and a 130-pound arctic gray wolf. He lives in Dallas, TX with his wife and five children. Ginger is a Marketo Certified Expert driven to help clients use Marketo’s full capabilities to meet their marketing objectives. A graduate of University of Illinois, Ginger has many times in her career defined her role by demonstrating her ability to solve complex challenges. Ginger’s work has included marketing plan development & campaign tactics, project management & program integration, and strategy & operations. Ginger brings her experiences in marketing along with her Marketo skills to her teammates and clients at Digital Pi. 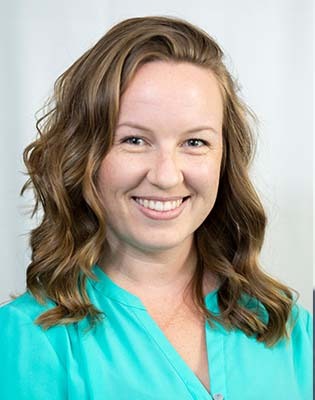 Stephanie is a Marketo Certified Expert who brings 15 years of experience in email marketing, marketing automation, and client services to the Digital Pi team. She is a Chicago native who is now living in Milwaukee and holds a Bachelor’s degree in Business from Indiana University. She is passionate about marketing automation and immerses herself in all of the details that go along with it. She is energized by helping her clients along every step of their journey – whether that be deploying their first email or helping them build out robust nurture campaigns. 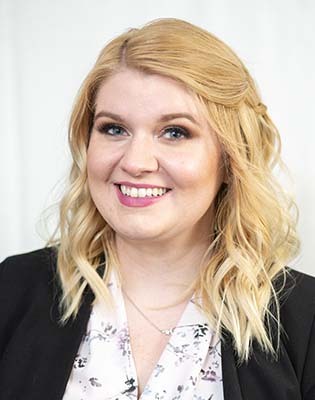 Most recently Stephanie worked at Bader Rutter, a Milwaukee advertising agency, where she served as their in-house marketing automation expert. In this role, Stephanie helped the agency and their clients with the implementation of their Marketo instances. She focused on the strategy and execution of a multitude of campaigns. Prior to Bader Rutter, Stephanie worked at Leo Burnett where she focused on email marketing for a world renowned CPG brand. When she ventures out of the digital sphere, Stephanie enjoys spending time with her husband, daughter, and furry pal Mei Lin (a lovable SharPei). She has traveled to 37 countries, but once her daughter came along those countries have been swapped for yearly trips to Walt Disney World. 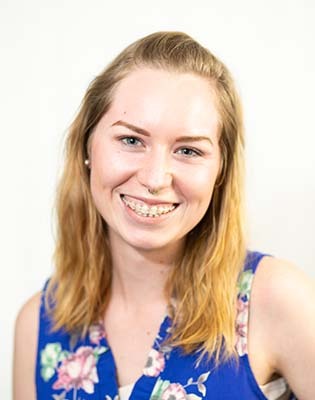 Megan has been working with Marketo since her graduation from SDSU and found her passion for marketing automation while at an internship during her last year at school. Her experience at both large and small companies has taught Megan how to both fix problems in older instances as well as create a clean and efficient instance from the ground up. She is a problem solver and enjoys turning concept into reality. When she’s not tied to her computer and diving into another Marketo puzzle, Megan enjoys going out to eat with friends, working out, or hanging out with her little pup Sophie and enjoying the San Diego weather. Claudia is a Marketo Certified Expert with over 9 years of B2B marketing experience. 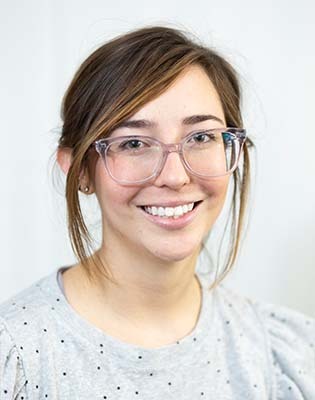 Prior to joining Digital Pi, Claudia worked in both agency and client side roles for companies ranging from high growth start-ups and SMBs to multinational enterprises. 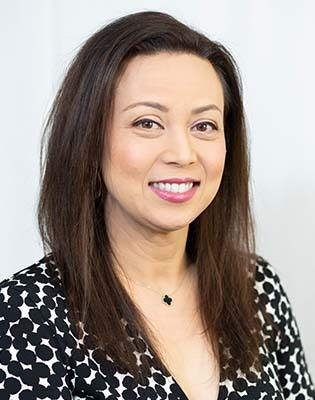 She completed her MBA in International Business in 2007 graduating from Temple University’s Global MBA program during which she lived abroad in Paris, Tokyo, and Shanghai. 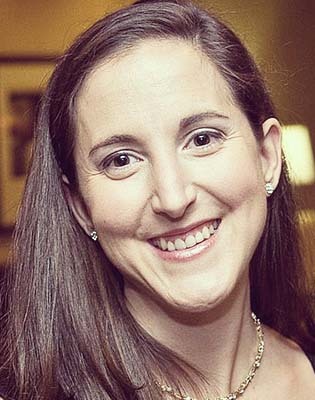 In addition to traveling, she enjoys yoga, running, cooking, and spending time with her husband and dog while enjoying the live music scene in Austin, Texas. Stephen’s experience ranges from developing responsive emails to building automated campaigns. 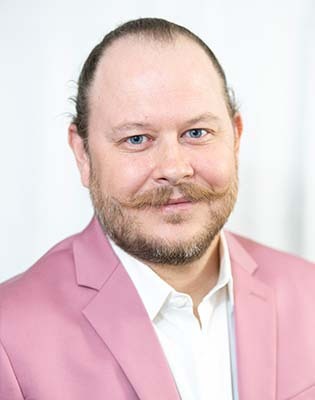 His experience with agencies includes creating development workflows and techniques for highly compatible email messages, automated email development, design and content strategy, incorporating new technologies, and tackling email client fallback solutions. Stephen began coding HTML and CSS when he was 10 years old, by reverse-engineering websites and a lot of studying, he was able to teach himself everything he knows today. Through experience working side-by-side with creative directors, program managers, and designers, he has been able cross-train in multiple areas, making himself available to assist in multiple stages of a project. When he’s not heads-down in design and development, you can usually find him drawing comics, creating digital music, or playing with toy cars with his son. 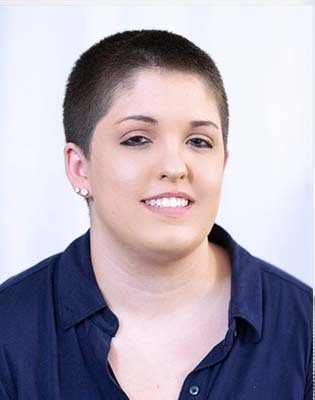 Rachel is a hands-on marketer with a focus in strategic operations. As a Marketo Champion and Marketo Certified Solutions Architect, she enjoys digging into the technical details of all things Marketo. She is a fanatical believer in the value of timely, orchestrated marketing that provides real value. Before joining Digital Pi, Rachel spent a few years managing marketing automation at PFL. Rachel moved into marketing after working in academia with a focus on mathematics. Besides marketing, Rachel is passionate about traveling, hiking, board games, and coffee. Ursula has spent her career delivering exceptional buying experiences to small, mid-size and enterprise companies. Her industry expertise spans Education, Healthcare, Transportation, Pharmaceuticals, Software and Information Technology. 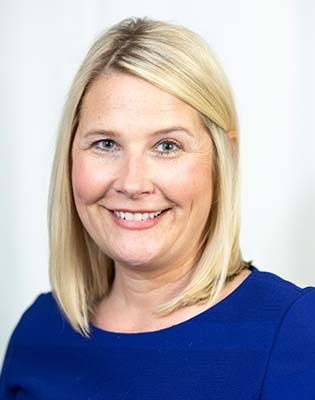 The past 16 years she has been executing the sales process in various revenue generating roles specifically Sales Development, Account Management, Inside Sales, and Field Sales selling software and services. Ursula joined Digital Pi with energy and excitement knowing she would continue to expand upon her recent six year career with Marketo and continue to drive success with Marketo clients. 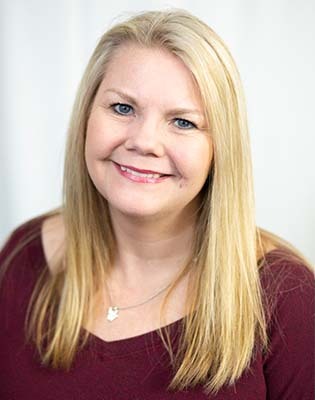 Her expertise is understanding that Marketing Automation is hugely dependent on a strong marketing and sales partnership, laying the right foundation with repeatable processes and ensuring marketing understands their return on investment. Her passion is listening to her customers business challenges and priorities and aligning the right resources and technology to help them personally grow their career and exceed aggressive revenue goals. Ursula and her family reside in the San Francisco area and take full advantage of everything the Bay Area has to offer. She spends her time with family and friends enjoying music, traveling, wine tasting, art and theatre, gardening and soaking up the sun and beach time on the California coast. Jackie is a Marketo Certified Expert who thoroughly enjoys the ins-and-outs of Marketing Automation. She was born and raised in Germany and holds a bachelor’s degree from Texas A&M University. She brings great enthusiasm for all things marketing, with a true passion for building programs, solving puzzles, and helping others succeed. She is driven by strong analytical skills and strives to exceed her client’s expectations. Prior to Digital Pi, Jackie managed marketing programs and operations at GuideSpark, Inc. and was one of two Marketo gurus on the team. Having joined the team at their start, she was able to watch and learn the ins and outs of a startup firsthand. 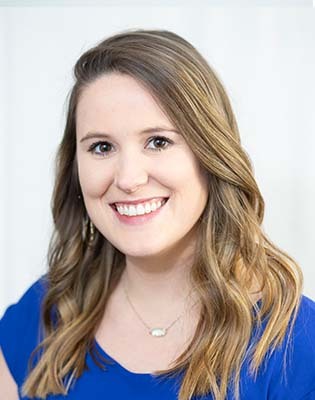 When she’s not working or looking for the newest marketing trends, you are likely to find her spending time with her husband and their two dogs Callie and Cooper, traveling, playing volleyball, or cheering on the Texas Aggies. 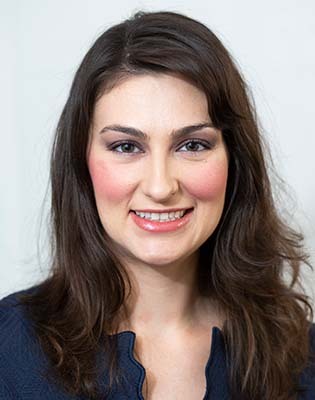 Working in marketing automation since 2010, Stephanie’s experience includes creating demand generation, lead management, lead nurturing, lead scoring, reports, and automated email communication programs. Specializing in data management, hygiene, and enhancement, she has helped companies of various sizes get the most out of their marketing automation tools and CRM systems. Stephanie earned a Bachelor of Science in Business Administration, Honors Marketing and a Minor in Management Information Systems from California State University, Chico. She started her professional career in corporate events and marketing management, where her eye for detail and organizational skills were put to good use. With this background, Stephanie seamlessly transitioned to marketing automation as she understands the marketing big picture while executing efficiently through the latest technologies. She is an Certified Eloqua Master and has worked in Marketo since 2012. Outside of the office, Stephanie can be found blocking and jamming on roller derby tracks around the world or at home learning machine embroidery. Ande comes to Digital Pi with experience as a Marketo consultant and a marketing operations manager. As a Marketo Certified Expert and Marketo Champion, Ande shares a passion for data-driven marketing and developing long-term solutions through increasing the performance of Marketo. 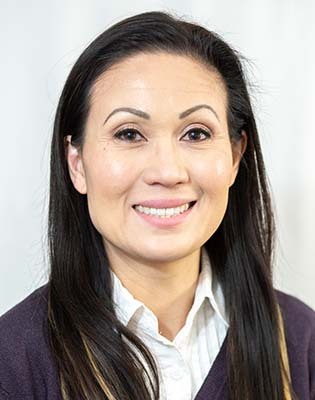 Ande thrives at solving problems and whiteboarding solutions, as she is a firm believer that any problem can be solved by clear goals and a well-designed strategy. She generally plays well with others, which is why she loves working with her clients at Digital Pi. 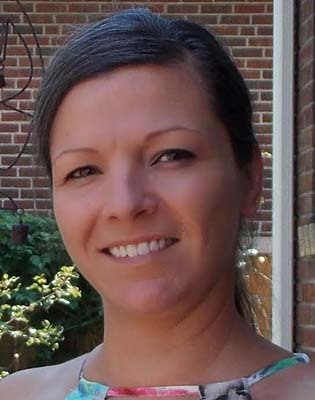 Ande lives in St. Louis, Missouri with her husband Garrett. She enjoys beer, live comedy, playing outside, and writing in third-person. 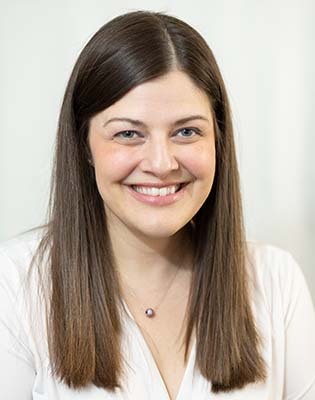 A Marketo Certified Solutions Architect and Marketo Champion, Jenn has over 10 years of marketing experience and holds an MBA in Marketing from DeSales University. She previously worked as a national Director of Marketing for a global software/technology company and likes to focus on strategy and scalability. She’s also a nerd who really, really likes cleaning data. In her free time, Jenn also knits, reads, and bikes, and can often be found in a microbrewery sampling a flight of Belgian-inspired beer. Her favorite book is House of Leaves by Mark Z. Danielewski and her favorite Backstreet Boy is Nick Carter. Mary Rouzer is a well-rounded marketing professional with over seven years of experience in the fast-paced technology industry. She studied business with a concentration in Marketing at Endicott College, and proceeded to advance her skill set into areas of marketing operations, demand generation, channel marketing, and event coordination. Mary is a Marketo Certified Expert and loves helping companies solve marketing automation challenges, optimize processes. In her free time, Mary explores her wild and wonderful home state of West Virginia. She enjoys hiking, kayaking, skiing, and spending time with her husband and fur babies. Rachel is a web developer with 4+ years experience building highly custom Wordpress sites (including this one!) and working with Marketo landing pages and emails. Her speciality is building responsive and flexible layouts while making sure it all works smoothly across multiple browsers and devices. Rachel graduated from the University of Central Florida with a Bachelor’s Degree in Digital Media: Web Design. She enjoys being multifaceted in her approach to learning and likes to keep her code clean, organized and efficient. When she is coding, Rachel usually works best while listening to deafening rock ‘n roll music and enjoying a cup of coffee. 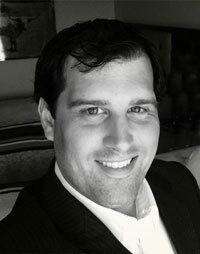 Luke is a Marketo Certified Expert with 4 years of marketing automation experience in the technology sector. He has been responsible for a number of different areas including Salesforce integration with Marketo, UTM structure to support large-scale content production, person scoring and strategic system audits. Previously, Luke worked at Denver-based technology companies Vertafore Inc. and Four Winds Interactive. Beyond marketing automation, Luke is a semi-professional and collegiate soccer referee. He has a loving fiancé and happy-go-lucky black lab/hound pup. If he’s not drumming up Marketo strategies or refereeing soccer, he’s most likely in the mountains backpacking or jumping into freezing cold alpine lakes. Kyle comes to Digital Pi with experience as a Marketo consultant and a marketing automation manager. Kyle shares a passion for working with clients to implement scalable solutions and enhance data-driven decisions within Marketo. Outside of Marketo, Kyle enjoys geeking out on all things project management, workflow, and process. He embraces the rewarding challenge of keeping projects healthy and clients happy. Kyle is a collaborator at heart who loves to connect and work with all types of people, which is why he loves Digital Pi. Kyle was born and raised in the San Francisco Bay Area and currently lives in Phoenix, Arizona with his Australian Shepherd named Daisy. He enjoys hiking, writing, craft beer, art galleries, and acting like a tourist in his city. 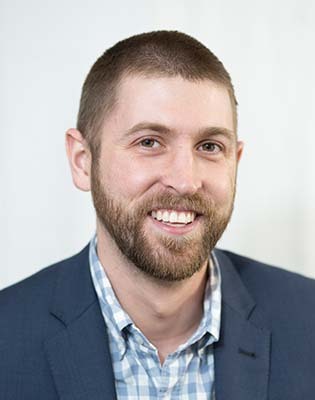 August (Augie) is a Marketo Certified Expert with a background in marketing analytics, operations, and strategy. He joined the Digital Pi team in 2018, after spending the previous five years developing his marketing operations and automation skills at various EdTech companies. Prior to Digital Pi, Augie led the Marketing Operations team for PowerSchool, where he was tasked with implementing Marketo and leading a team to optimize automation, demand generation, and reporting. Before PowerSchool, Augie was responsible for managing both Salesforce and Marketo for the marketing and sales departments at InfoSnap. 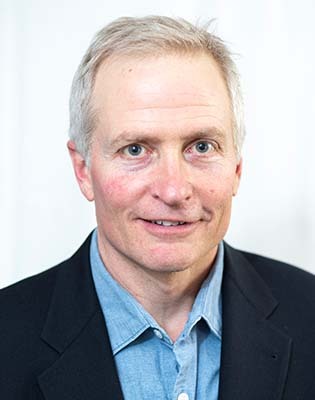 Augie grew up in northern Vermont and holds a degree in Community Entrepreneurship from the University of Vermont. He now lives in southern New Hampshire with his wife, daughter, and two dogs (Maple & Moose). He’s also spent time living in Washington, D.C. and Sacramento, California. When he is not working with clients to optimize Marketo, he is likely skiing, playing basketball, or enjoying time with his family. 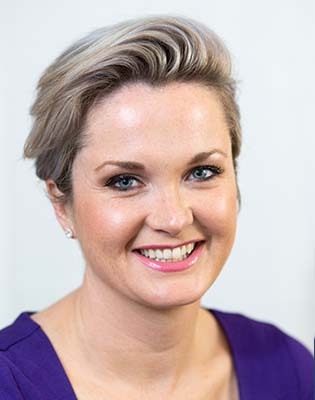 A Marketo Certified Expert, Natalie brings over 10 years experience in marketing strategy, operations and digital marketing to the Digital Pi team. In previous years, Natalie held roles leading teams across demand gen, marketing operations and web. She holds a Master of Science in Integrated Marketing from Eastern Michigan University. Natalie loves solving complex marketing challenges and learning new technologies. Her favorite projects include implementations, migrations and all things web. She has strong expertise with Marketo and Microsoft Dynamics and enjoys helping others navigate complexities. She currently lives in the Boulder, Colorado area with her husband and dog, Chippy. In her free time, she loves traveling, scuba diving and off-roading in the Rockies.